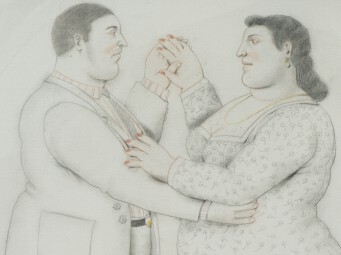 The artist diffuses his concepts through drawings, showing how curves embrace gracefulness by depicting round figures in motion, engaging in elegant, agile actions such as moving in circles or dancing. 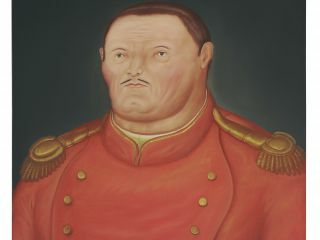 Here, the artist represents a ringmaster, the most visible performer in the modern circus who manages the performances and introduces the various acts. 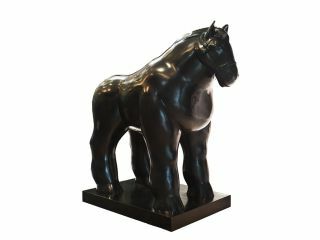 The man of the show, he stands resplendent in his costume, the master of ceremony of Botero's atypical world and circus of round performers. 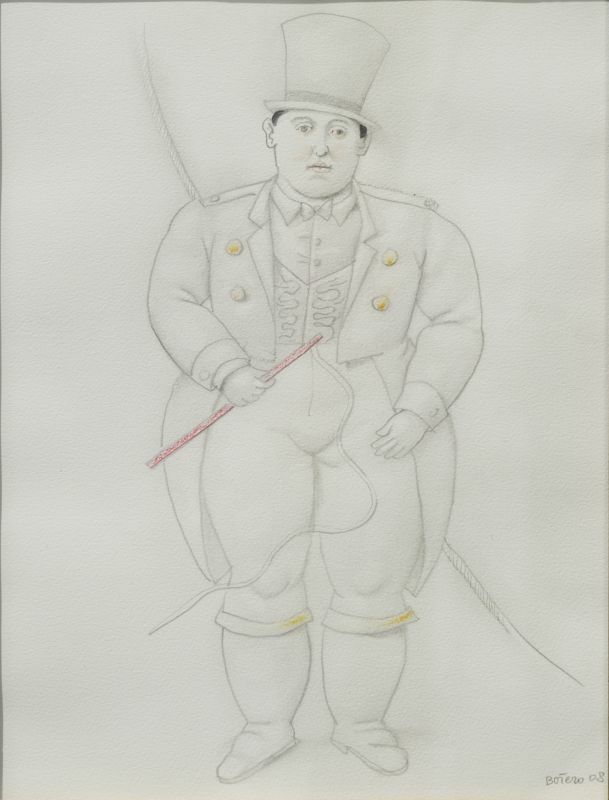 In this drawing of a circus ringmaster, the inflated body proportions make the figure appear bulky and clumsy, unlike how a frisky ringmaster is supposed to be. 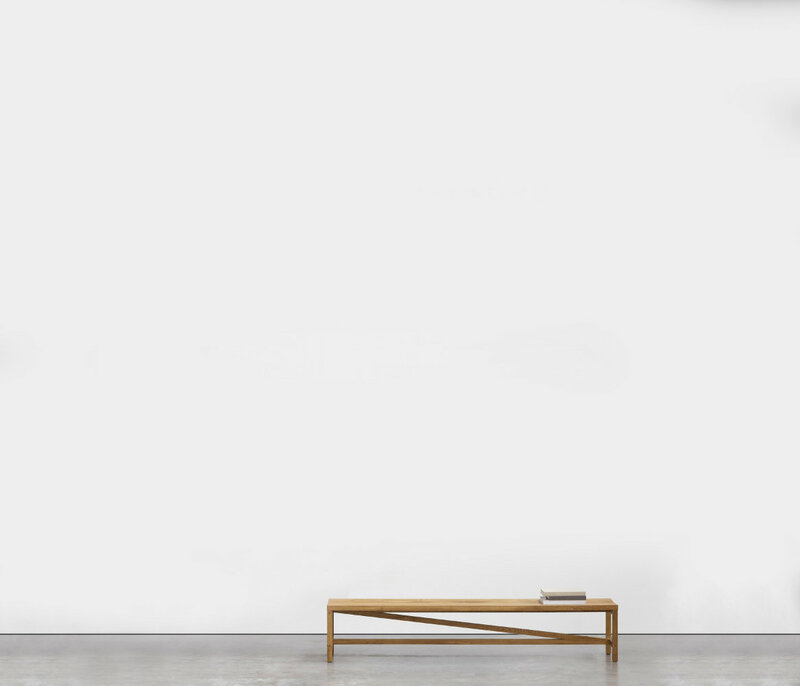 He pulls a jaded face, capitulated to the surroundings with a lack of motion, creating a stark contradiction to his dressing. 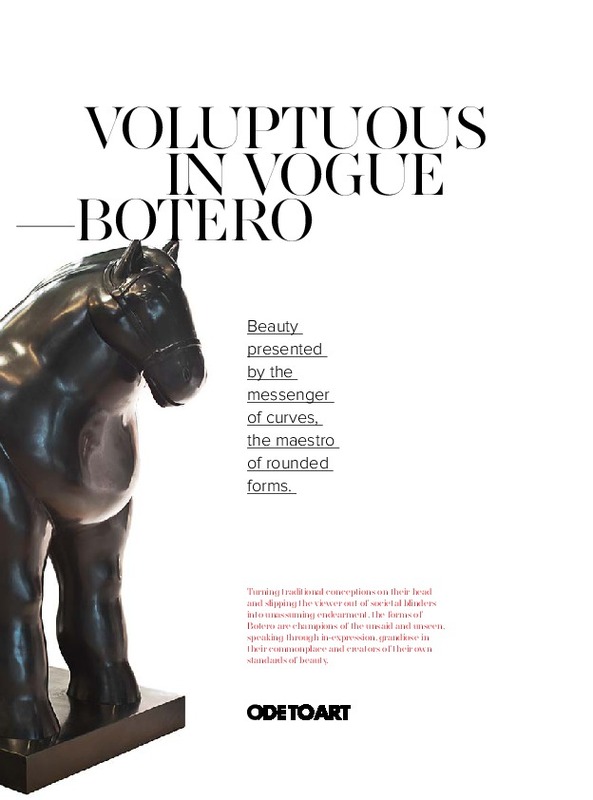 In this study, Botero examines ‘fat’ figures in roles of our society, as a circus ringmaster whom we expect to be lean and agile. 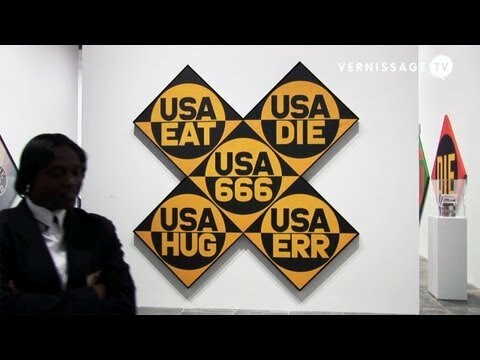 The work conjures us to think about how we view its appropriateness, whether it conforms to our outlooks. 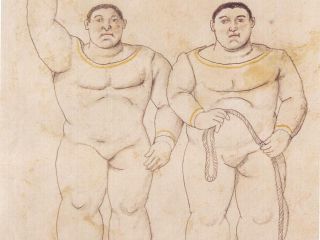 To offer redress for the situation, Botero imbeds motion into the figure through the whip and rope around the ringmaster. 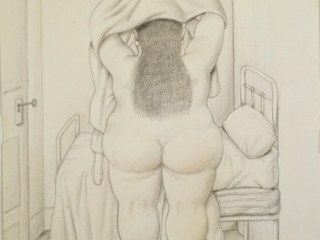 I'm looking for an artwork similar to The Ringmaster by Fernando Botero. Thank you.